Irish & UK Independent TV production companies ShinAwiL and Zig Zag Productions have announced a strategic alliance designed to expand each organisation’s unscripted TV format operations in the UK and the international market. The Initiative is seen by both companies as a proactive approach to Brexit, which will allow both companies to operate in the EU and the UK regardless of a backstop agreement. The new initiative will see Zig Zag and ShinAwil join forces to co-develop and co-produce original unscripted formats, both from Zig Zag’s London office and ShinAwiL’s Dublin and Belfast bases, allowing both companies operate in the EU and the UK regardless of a backstop. Both companies will continue to operate independently. Under the reciprocal agreement, Zig Zag will represent all ShinAwiL unscripted formats in the UK, while ShinAwiL will represent all Zig Zag unscripted formats in the Republic of Ireland. Both companies have over 20 years’ experience producing high-end entertainment and factual entertainment programming. 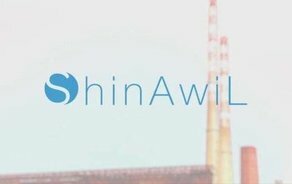 ShinAwiL is one of Ireland’s leading independent production companies that has produced some of the world’s biggest entertainment formats including ‘Dancing with the Stars’ (‘Strictly Come Dancing’), ‘The Voice’, ‘MasterChef’, ‘The Apprentice’ and ‘Dragon’s Den’. Set up in 1999 by CEO Larry Bass, the company has recently established a scripted division, led by Head of Drama, Aaron Farrell and Head of International, Mary Callery. Zig Zag Productions is one of the UK’s foremost independent television production companies. Headquartered in London and launched by CEO Danny Fenton in 1999, the firm has produced over 650 hours of non-scripted programming and has grown to become an internationally renowned, respected and award-winning television producer both in the UK, US and internationally.